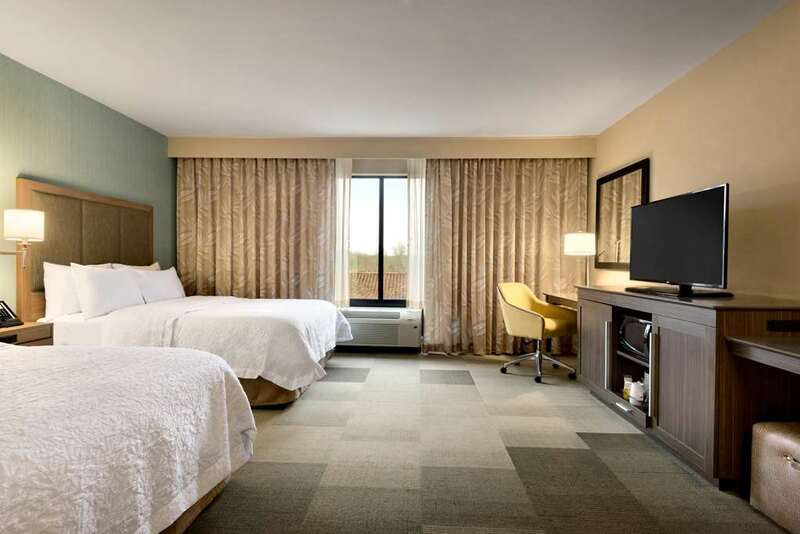 Ideally situated near Monroe Regional Airport Hampton Inn - Suites Monroe is within walking distance of Pecanland Mall and lots of popular restaurants. We are conveniently close to lots of area businesses offices industrial parks and attractions like historic downtown Monroe the Duck Commander store and the Downtown River Market. Feel at home in a bright and spacious guest room and enjoy contemporary amenities including a flat-screen TV and free WiFi. Get to work at the large desk or use the convenient lap desk. Buy snacks and drinks at the 24-hour Suite Shop to chill in your mini-refrigerator. Comfortable studio suites are also available - perfect for families and extended-stays in Monroe Louisiana. Sleep soundly in the clean and fresh Hampton bed before waking up refreshed to enjoy Hampton*s free hot breakfast. If you*re heading out early don*t miss the most important meal of the day grab a free Hampton*s On the Run Breakfast Bag Monday - Friday. Work out with the latest cardio resistance and weights equipment in the free fitness center or plunge into the sparkling indoor swimming pool. Check emails and print documents in the free 24-hour business center. Our 1 000 sq. ft. meeting room can be divided into two separate spaces and is ideal for conferences training sessions and small wedding receptions for up to 75 people. Friendly service clean rooms comfortable surroundings every time. If you*re not satisfied we don*t expect you to pay. That*s our commitment and your guarantee. That*s 100 Hampton.